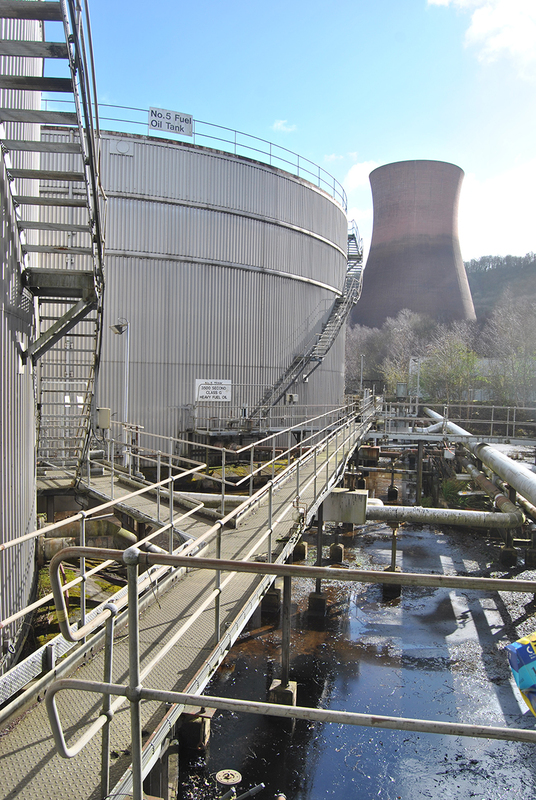 Client: CgMs Consulting on behalf of Uniper Technologies Ltd.
A programme of historic building recording was undertaken in 2017 in respect of the various constituent buildings of the Ironbridge Power Station, Shropshire during decommissioning of the plant following closure in December 2015 under the terms of the European Union’s ‘Large Combustion Plant Directive’ of 2001. The project was undertaken at the request of CgMs Consulting working on behalf of Uniper Technologies Ltd. 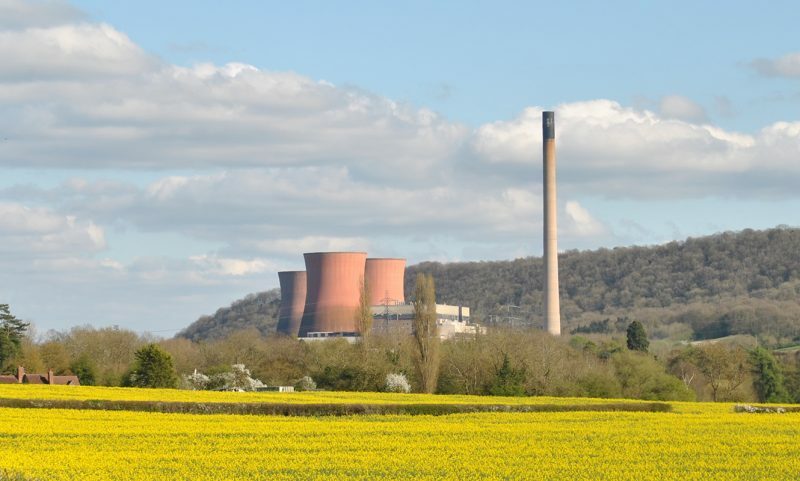 Historically, the site has been occupied by two 20th-century coal-fired power stations; namely ‘Ironbridge A’, a 200MW station constructed by the West Midlands Joint Electricity Authority (WMJEA) between 1929 and 1939 (operational from 1932, initially at half-capacity), and ‘Ironbridge B’, a 1,000MW ‘super-station’ built by the CEGB from 1962 and 1969. Much of the A station was demolished in the early 1980s with the exception of the original pump house and road access bridge, which remain as testaments to the quality of the design and construction of the 1930s station and can be seen to be broadly indicative of the form and finish of the early station as a whole. 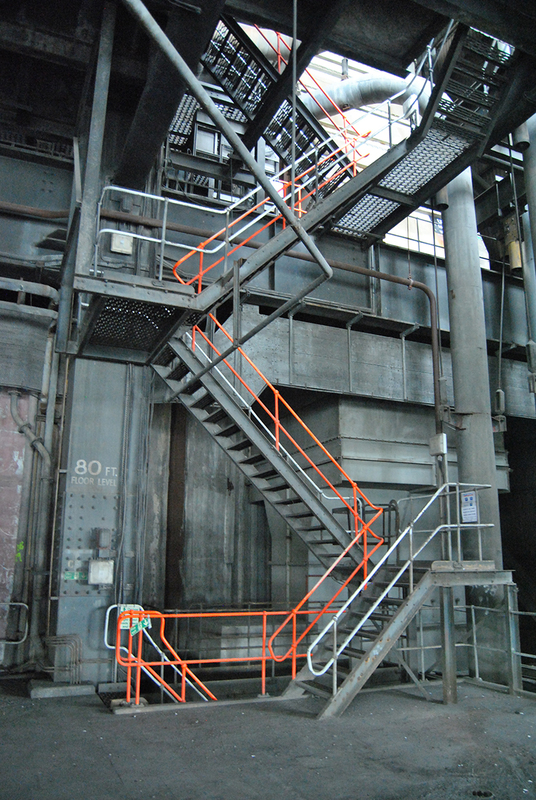 The B Station comprises a standard grouping of power station structures based around the generating core of boiler house, turbine hall and control block. Its constituent buildings are, for the most part, strictly utilitarian in nature, essentially large enclosed spaces of rectilinear, orthogonal design, and represent a fundamental move away from the design philosophy of previous eras that gave rise to the ‘brick cathedrals’ of the early-20th century. This reflects not only the adoption of the increasingly prevalent ‘functional aesthetic’ of the 1960s/70s, but also a greater focus on financial and budgetary constraints within the nationalised industry. The principal generation ‘core’ buildings are located to the centre of the site, within a large, conjoined block with a single, massive chimney stack sited axially to the rear thereof. 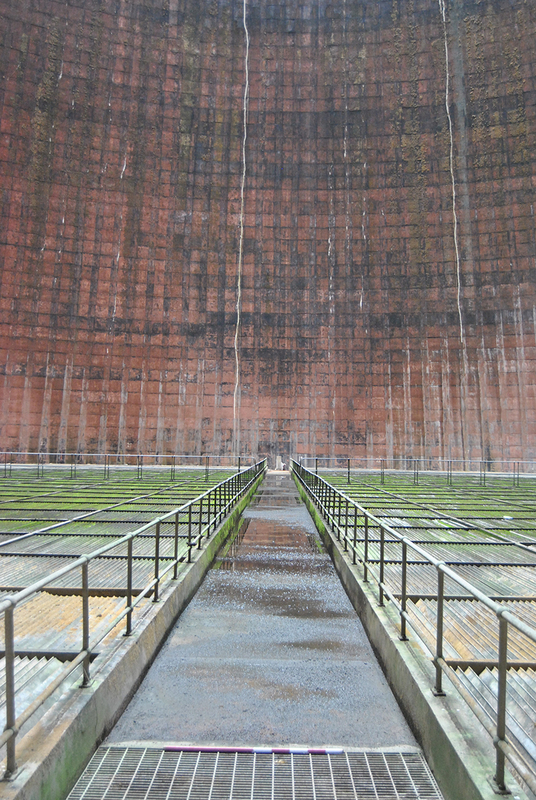 A massive 400kV switch-house and an extensive coaling plant were laid out to the west, and a bank of four cooling towers erected in an unusual, gently sweeping arc to the east, dictated by the natural topography. 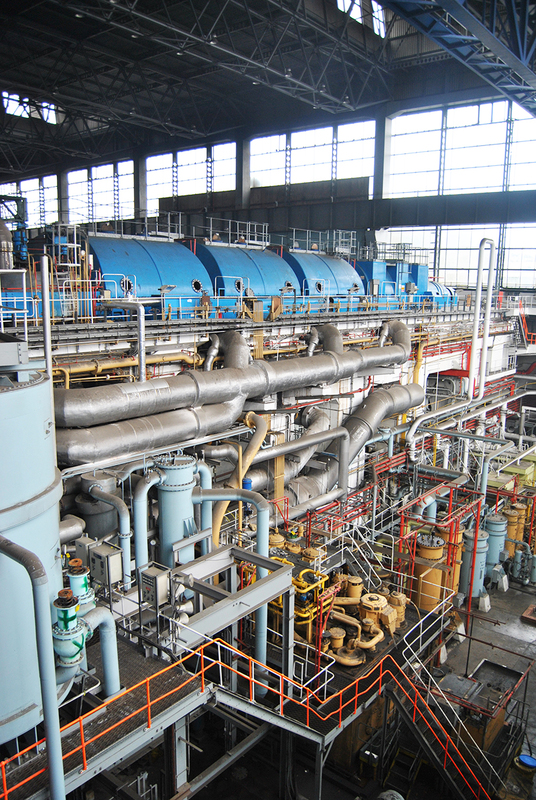 Auxiliary buildings including water treatment plants, circulating water plant, dust and ash plants were fitted in between the cooling tower field and the main generation buildings. The project allowed for a detailed study and record of the buildings, their construction, operational and general developmental history to be made, in accordance with para. 128 of National Planning Policy Framework (NPPF), while a review of archival sources at the Shropshire Archives, the Ironbridge Gorge Museum and on-site at the power station itself, allowed for a context, both historical and technical, to be established within which to interpret the form and development of the site. The ‘Electricity Act’ of 1957 saw the formation of the Central Electricity Generating Board (CEGB), operating over five geographic regions, viz. the Midlands, North-East, North-West, South-West, and South-East. A pattern of increasing generator size, begun during the earlier 1950s, continued and by the early 1960s, the 500MW, single-shaft turbo-generator became standard for new ‘super stations’, arranged in combinations of two or four units (1,000 or 2,000MW capacity respectively). Of the 13 major new power stations released for construction between 1960 and 1964, all but three were of 2,000MW output and, as such, Ironbridge ‘B’ (at 1,000MW) was one of the smaller stations dating to a period of dramatic expansion in electricity provision.